As Starbucks shops across Ottawa get ready to close Monday afternoon for implicit bias training, some people of colour are hoping the chain will take other steps to make its spaces more welcoming for everyone. As Starbucks shops across Ottawa get ready to close Monday afternoon for what's being called anti-bias training, some people of colour are hoping the global coffee chain will take further steps to make its spaces more welcoming for everyone. The training comes after Rashon Nelson and Donte Robinson were arrested April 12 at a Starbucks in Philadelphia, Pa., as they were waiting for a business meeting to start. "I think there's always been sort of this culture among Starbucks that there's a sense for the black community that it was never built or intended for us," Tasia Brown told CBC Radio's Ottawa Morning on Monday. 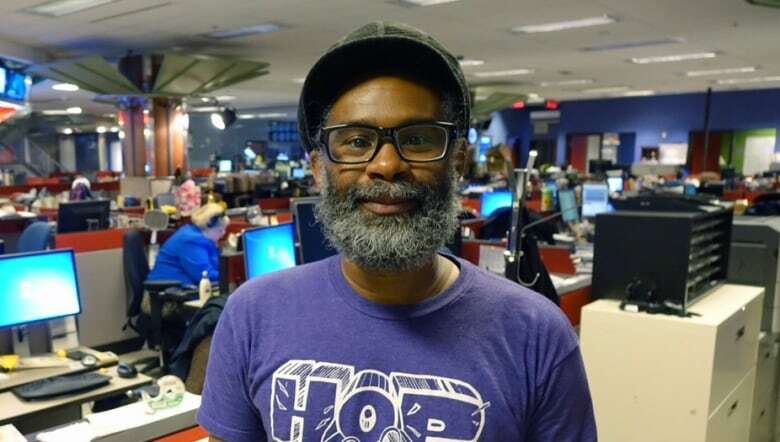 "I move through Ottawa as a black man and I'm in white spaces a lot, and I get a sense of when I'm in a space that people feel I shouldn't be there or I feel marginalized or all those other words that come with that. So Starbucks is one of those places, and I would say the same thing to many, many businesses I go into.... You can feel it," he said. A note sent to Canadian Starbucks customers on Monday said stores will close at 3 p.m. for the training. When contacted, some Ottawa outlets said they'd close around 2 or 2:30 p.m.
Dragon said it's not enough. "So they're supposed to understand in two hours what I've experienced for my lifetime? That just doesn't work for me. It's a step in the right direction, that's obvious. I can't criticize them for that. But at the same time, it's certainly not enough," Dragon said. For her part, Brown said she doesn't want Starbucks to stop pushing for change in its spaces after the training. "I'm hoping that Starbucks is not just focusing on this one thing, that it has to be part of a larger action plan to eliminate discrimination in their spaces," she said.